Ignacio has arrived – literally and figuratively – in Rhode Island. 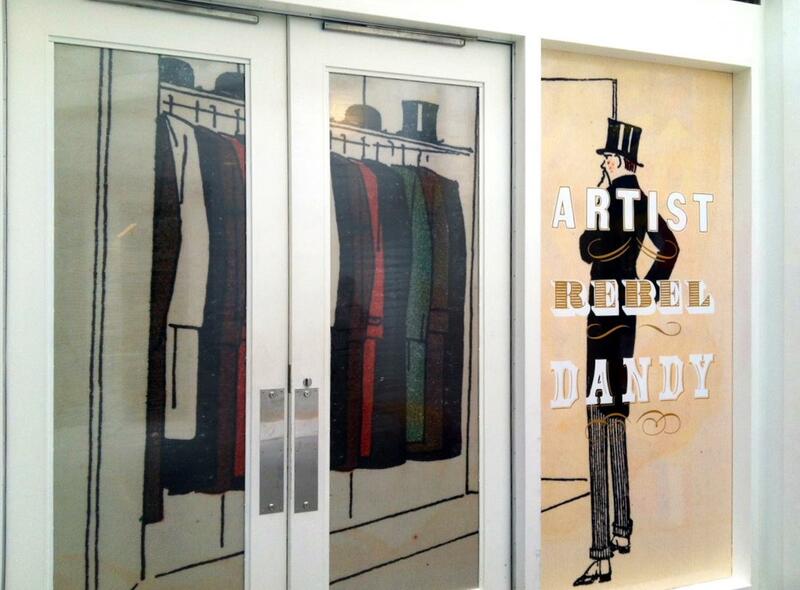 He’s in Providence to attend Artist/Rebel/Dandy Men of Fashion, a new exhibition opening tonight at the Rhode School of Design’s Museum of Art. Of course the exhibit is about a subject near and dear to his heart and central to our work here at QP & Monty: men’s fashion. But it is more than just about fashion – though Artinfo did refer to it as a “must see fashion exhibit of 2013” – it is a celebration of men and their relationship with their clothes. And for us it is even more – it is a celebration of Ignacio’s personal dandihood! A little over a year ago we received a comment to this blog from the curators of the exhibit Kate Irvin and Laurie Anne Brewer asking if Ignacio would be interested in helping them with their project. Of course he was happy to offer any assistance, but he never dreamed it would mean that his image and one of his favorite vintage suits would be included in the exhibit. So tonight is an exciting night; actually the whole day has been exciting. It began when our friend and we believe – the world’s preeminent dandy – Patrick McDonald swung by this morning to pick Ignacio and his luggage up en route to Penn Station. They then travelled together via Amtrak en route to Providence where they arrived earlier this afternoon. I’m sure they’ll meet up again in about an hour at the museum to see the exhibit in person. 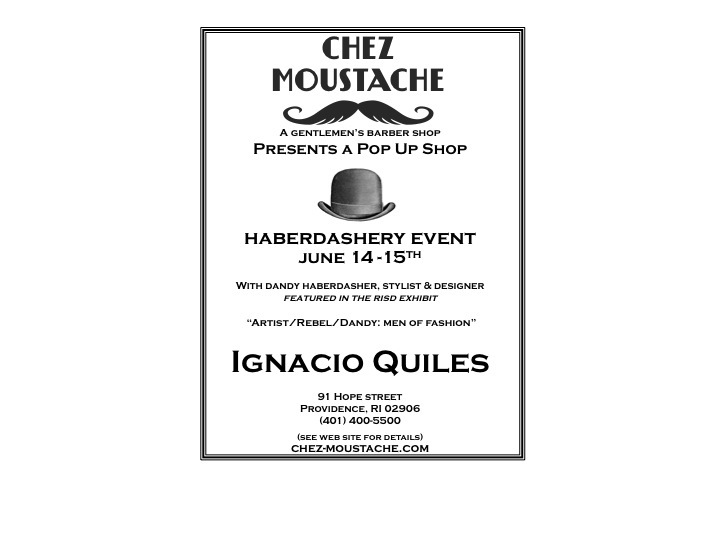 Ignacio is planning to wear a white dinner jacket and white vintage Stacy Adams shoes with his tux slacks. I’m sure the rest of the ensemble will be a sight to see, but I’ll have to wait to watch it all on twitter. Ever since we launched our kickstarter campaign for Sartorial Pairings Ignacio has been the man about town! Last Wednesday he decided to hit his old stomping ground of Harlem. In case you didn’t know Harlem is not just the birthplace of the jazz age it’s also the birthplace of our own Ignacio Quiles. He’s strayed from the neighborhood over the years to Brooklyn and the Lower East Side, but Harlem remains number one in his heart. 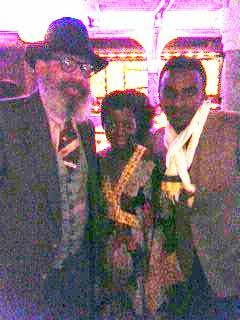 So of course when he decided to take a speakeasy tour of the city to get the word out about Sartorial Pairings he had to hit Ginny’s downstairs from Chef Marcus Samuelsson’s Red Rooster restaurant. And to his delight the chef was there. They’ve met before at our pop up in Chelsea Market and at the Manhattan Vintage Show, but this evening was special. It’s dark and sultry and full of great vibes, great food, and great drinks as you can see in this almost old school photo of Ignacio with Chef Samuelsson and Thelma Golden Director and Chief Curator of The Studio Museum. So if you are in NY Ignacio encourages you to stop by Red Rooster – you are sure to have a great time. In the meantime please go to kicstarter.com and search for Sartorial Pairings – we have 14 days left to raise about $24,000 – it’s time to kick this campaign into high gear. Please Join Us for our Grand Opening – Thurs Sept 20! Ignacio is not just a serious man – he has a silly side too. Our friend Erica the designer behind Cora at Artists & Fleas used to make him crack up – this little guy was her creation. Ignacio still takes him along for the ride sometimes. We are grateful for everyone who has come along for the ride with us here at QP & Monty. 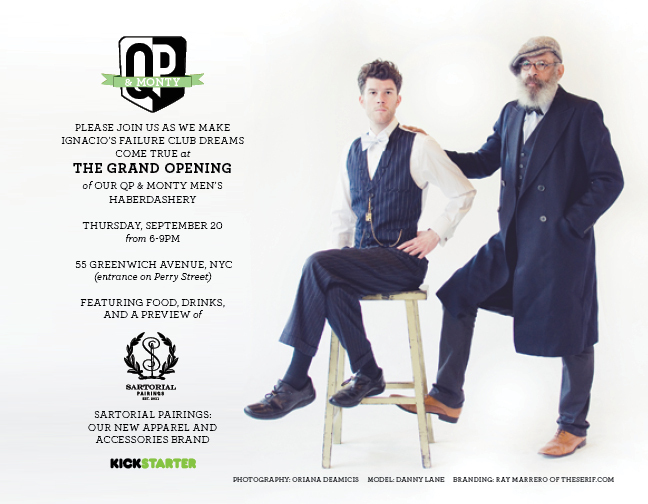 If you have a chance please check out our kickstarter project for Sartorial Pairings. We know QP & Monty is a funny name. 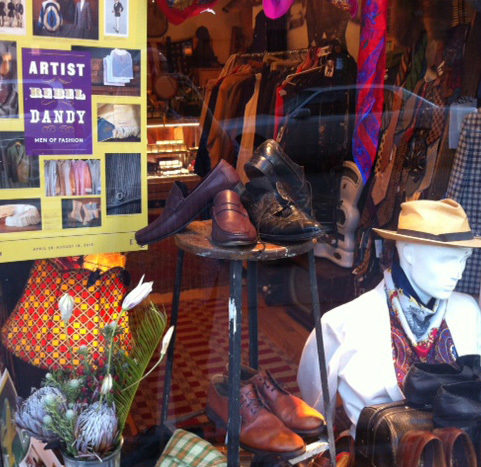 But it’s more than just a haberdashery in NYC’s West Village. Monty is a real dog. As you can see he likes to live the high life. 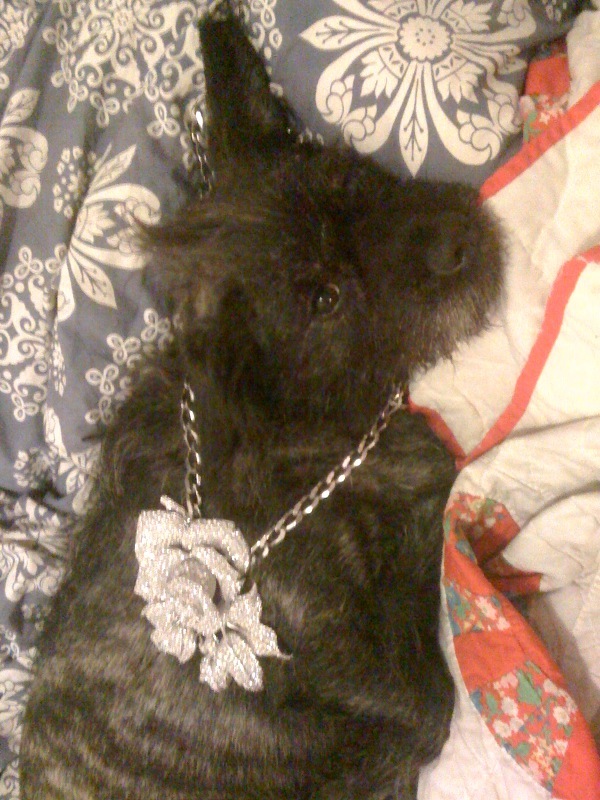 In fact he is known as the King of Bling. Now QP she’s less fancy. But she’s not real at all. She’s Monty’s imaginary friend. Whenever he gets in trouble he blames everything on her. Or at least he did until his little sister Saki moved in. In fact this entire line of thought is for another day. 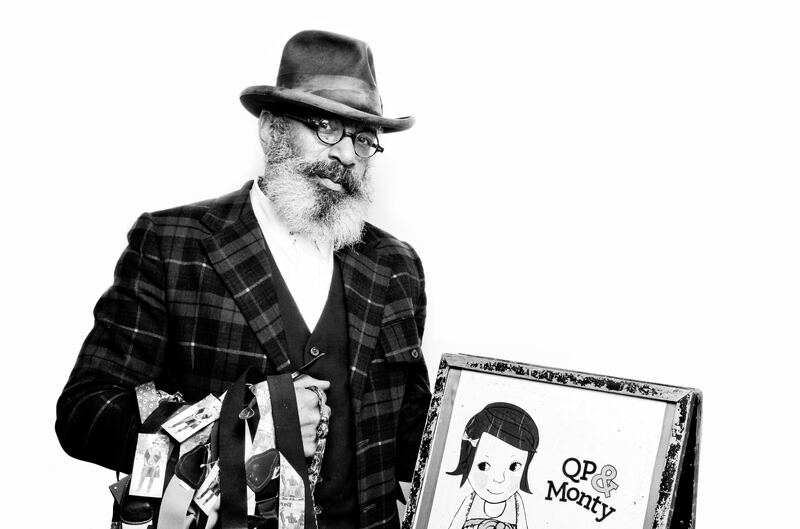 After we successfully launch Sartorial Pairings, our new apparel and accessories brand, we’re working on a series of children’s books and plush toys featuring QP & Monty. So if you like vests and fobs and chains please go to kickstarter.com and search for Sartorial Pairings. We’d be honored if you’d back us – no dollar amount is too small – participation is key! You’ll receive Monty’s undying devotion – and of course our eternal thanks! 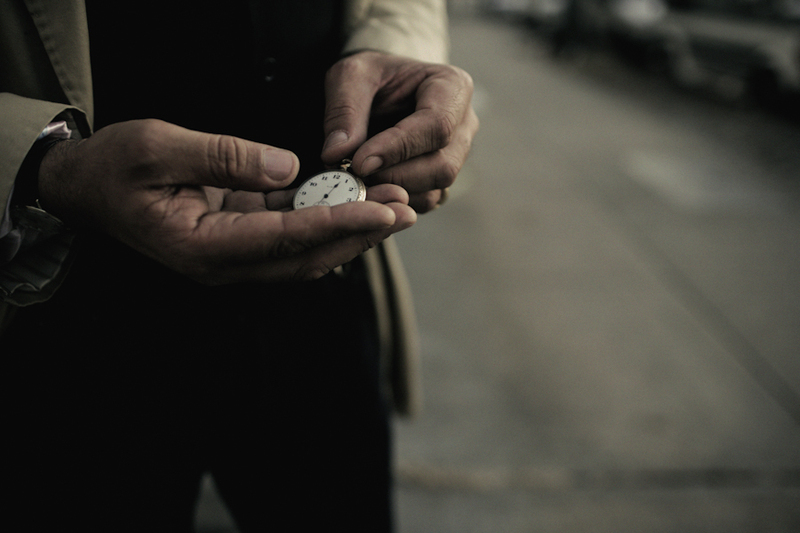 Time waits for no man, woman or dog. This has never been more evident to us than since we launched our kickstarter campaign for Sartorial Pairings last Thursday. As you may know we have 26 days left in which to raise $29,425. While this may seem daunting we are excited and making plans for promotions every night. So please keep an eye out for our daily posts because we’ll be announcing our plans and progress here and on facebook and twitter too. In the meantime please visit kickstarter.com, search for Sartorial Pairings and check out our video. Because time is of the essence and the essence of time is fleeting. But the rewards for using your time well are immeasurable! Please help us ensure that we’ve used our time well by backing our project and sharing the details with your friends. QP & Monty has a new home. But we have brought a piece of each previous market with us. This photograph by Teddy Telles from his photo booth at Artists & Fleas has pride of place as you enter the shop. I love this photo because it reminds me of how much help we’ve gotten from our friends. My friend Terry helped us source the suspenders I’m holding, my friend Ariel drew the caricature of QP my dog’s imaginary friend, and my friend Teddy took the photo. We all need help from our friends and I’ve gotten that help in spades this past year. But I’m not afraid to ask for more. Please visit kickstarter.com, search for Sartorial Pairings, and watch the video about my new apparel and accessories brand. Of course if you like what you see, I’d be honored if you would make a pledge, pick a reward, and share the link with your friends. But most importantly I ask you to read through the acknowledgements I’ve listed on the page. These are the true heroes — they are the ones who helped me and became my friends along the way.